When SerpentineMedia CEO Michael Stevens was a little kid, he would always ask his dad to take him to his workplace, NBC news in Atlanta, GA. Stevens was fascinated by the TVs on the walls, the writers at their desks, the cameras in the studios. Over the years, he saw his dad becoming more unhappy as he dealt with all of the malicious news in the world. Seeing his father get captured by this gruesome reality inspired Stevens to only share the good, not the ugly. "We wanted to see what it would be like if all we saw was positive, beautiful things when we want to explore our surroundings," Stevens said. After five years of changing majors in college, Stevens went to Arizona State University where he studied Film and Mass Media, which rekindled his love for photography and filmmaking. "I always saw the world in a dramatic light. I always saw people for more than they were, whether they were a chef or a housekeeper. These things don’t define us. Our heart’s define us," Stevens said. SerpentineMedia is a media production company established in 2017 by CEO Michael Stevens, rebranded in Fall of 2018. They saw the need to share all of the amazing businesses and artists in the Tampa area. Since the relaunch, the company has done various music videos for upcoming musical artists like MAL and PRKR from Tampa, FL, as well as commercials for residential paint experts Visual Enhancements and The University of Louisville lacrosse team. With the photography side, they have mastered the art of taking the perfect headshot, capturing families at their happiest moments, and getting the perfect angle of young professional models in the area. “Photography was my first love, and I would be lying if I said that I could live without it,” said Stevens. SerpentineMedia is ever-expanding, with plans to start a docu-series on the artists that make up this generation as a Netflix series and directing major Hollywood films. 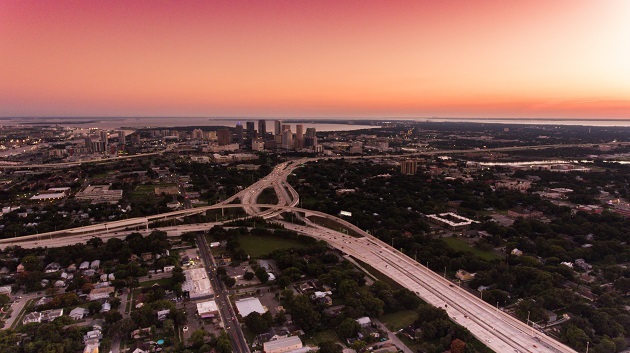 Stay connected to more business news in Tampa by registering with us at 813area, best of all it's free!